With a pick up from your accommodation spend the day with a local Aboriginal tour guide, visiting a number of culturally significant areas and learning about the amazing relationships the Kuku Yalanji still have with their land. Learn the history, culture and traditions of the local Aboriginal people and the area. 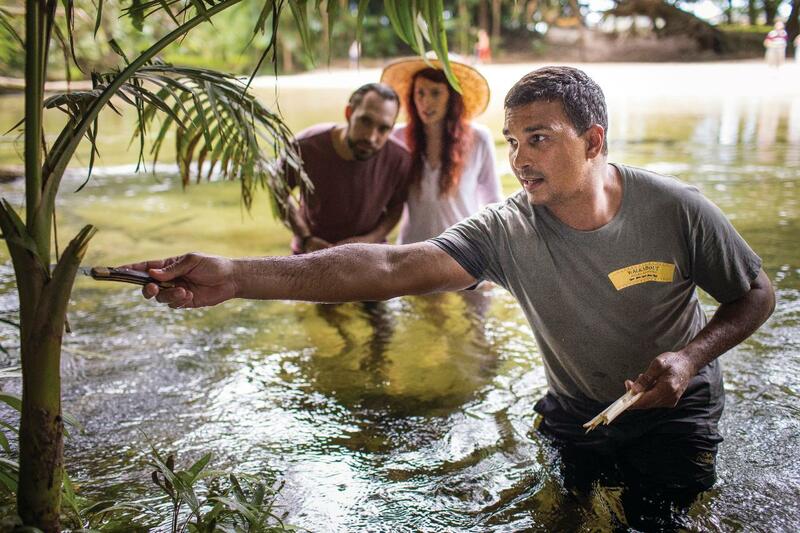 Walk through the rainforest and coastal habitats learning about the environment, different foods and medicines utilized from nature, sample some bush tucker, collect shellfish and try traditional Aboriginal hunting practices, have a go at spear throwing and if you are lucky, catch a mud crab. To complete the adventure cool off in a pristine freshwater stream.